It took a week, but EPA has now joined its federal brethren in the partial government shutdown. Last week, EPA stayed open using carryover funds. But as that money ran short, acting Administrator Andrew Wheeler told staff Thursday that the agency would shut down. On Friday afternoon, furlough notices began popping up in employees' email inboxes. "Dispose of any food at your desk or in the refrigerator," was one instruction on the checklist included with the notice for furloughed employees. Other instructions were to turn off their government computer and change their voicemail message. "I am out of the office for the duration of the government shutdown," was some suggested language. Some EPA employees were still on holiday break, given that the notification came during the week between Christmas and New Year's Day. They shut down their workstations remotely on computers while on vacation. Others came in the next scheduled workday, which was New Year's Eve, this past Monday, to close up shop. All began planning how to deal with a budget crunch as they sit home without pay. It's not clear when the shutdown will end, given the budget impasse over President Trump's border wall (see related story). 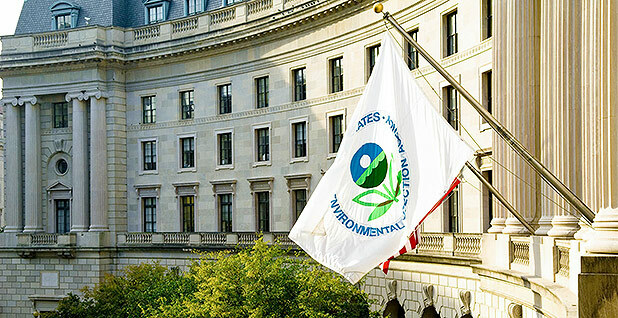 One EPA employee told E&E News that they are concerned about how they will cope if the shutdown lingers for much longer, noting that their day care has offered to delay bills until the government reopens. "We have reached out to family and our savings just in case we need it," said the employee. "If we don't open soon, we will have to ask our creditors to help or delay our payments." Once the government does reopen, Congress would have to pass legislation offering back pay for federal employees affected by the shutdown. Otherwise, government workers would have to accept that lost time. "I'll be OK for January," said one EPA employee. "We get beyond that or they pull something with back pay, things go red." Jeanne Schulze, president of American Federation of Government Employees Local 1003, which represents EPA Region 6 employees in the agency's Dallas office, said workers are looking toward their next paycheck date on Jan. 11. "EPA employees will definitely feel the pinch if they don't get paid a week from Friday. Everyone is tightening their belt in anticipation," Schulze said. "A furlough is not a vacation when you are worried about paying bills, buying groceries," she noted, "especially right after the holidays." Further, Schulze said, "What is also sad is that people and businesses that depend on the government are being hurt too. No one seems to be talking about those working families. The spillover effect of the shutdown on the economy is huge." The Office of Personnel Management offered advice to federal employees affected by the shutdown in sample letters on how to talk to creditors. One of those letters advised bartering with landlords, saying employees could fix up the home in place of rent. That advice did not go over well with federal workers. Mike Mikulka, president of AFGE Local 704, said, "I find it to be absurd. Whoever wrote it obviously is not living in the real world." Mikulka's union represents Region 5 workers in EPA's Chicago office. He noted, "Many are in a paycheck-to-paycheck mode. The reality is that the cost of living here is high, and reserves are limited." Others didn't find OPM's advice helpful. "Honestly, I have a difficult time imagining that these letters will be taken seriously, particularly in areas like where our office is where landlords are often champing at the bit for tenant turnover so that they can charge higher rents," said Bethany Dreyfus, acting president of AFGE Local 1236, which represents EPA Region 9 employees in the San Francisco office. "Also, it is unclear what impact these letters will have on employees' credit in the future," she said. "Again, federal employees tend to rely heavily on the consistency of our pay, as do our creditors who presume that they can rely on steady payments from those employed by the government." Under EPA's shutdown plan, 13,705 employees are called "exempted," meaning they could work on carryover funds but now have been likely furloughed. "Excepted" employees, numbered at 753, will have to report to work in order to protect life and property — but still without pay (Greenwire, Dec. 28, 2018). How EPA wound down its operations soon became noticeable by Friday. The agency said it would not regularly update its social media feed during the funding lapse. EPA also serves as the host agency for FOIAonline.gov, a web portal used by federal agencies to process Freedom of Information Act requests. That, too, could be affected. "Continued systems operations cannot be guaranteed," warned a disclaimer on the website. Other functions look certain to grind to a halt at EPA. "Very little of what a government attorney does on a normal workday can continue if there is a lapse of appropriations," said Kevin Minoli, who was EPA's top career lawyer until leaving the agency last year. He said that during the last lengthy government shutdown in 2013, the exception was that a lawyer could work on a case where the Department of Justice was not able to get the deadline stayed. "An attorney could work as many hours as necessary on that one matter — but only that one matter. Work that had to wait until funding was restored included things such as legal support for regulatory actions, responses to Freedom of Information Act requests and client counseling," said Minoli, now a partner at the law firm Alston & Bird LLP. EPA also has a law enforcement function, which could be hindered by the shutdown. Doug Parker, formerly head of EPA's criminal investigation division, said that work would be slowed. "Inspections slowed down, certainly, and civil enforcement proceedings during the earlier shutdown," said Parker, now president of E&W Strategies. He noted that it will take some weeks to catch up. Official travel for EPA employees will also be canceled during the shutdown. That, too, could hurt enforcement by the agency. "Much of this travel was for scheduled field work, such as inspections, as well as remedial projects under Superfund authorities," Mikulka said. EPA's scientific research could also be hampered during the shutdown. Bob Kavlock, who served about 40 years at the agency including as acting head of EPA's research office, said long-running experiments were likely protected during the last shutdown by having employees come in to care for lab animals. But operations like EPA's Integrated Risk Information System, which analyzes chemicals for harmful effects, and other reviews would have come to a stop. "In some cases, if a field study should have started and didn't, it could potentially set a study back a full year," said Kavlock, who retired from EPA in 2017. Overall, a shutdown is not great for an agency's work. "The time toll on shutdowns is more than generally recognized, as the organization has to prepare for the upcoming shutdown, resulting in numerous senior staff and all-hands meetings, with all the hallway chatter that those stir up," Kavlock said. "Simply put, the lead-up to a shutdown is not a period of optimum productivity, and the restart likewise has similar overhead associated with it," he said. The shutdown looks certain to hurt morale among agency staff. One EPA employee said they were fed up with the agency's struggles with budget lapses. "Hope we all have a blessed 2019 and my top goal that is written on my kitchen blackboard says, 'Goals for 2018: 1. Get a new job!'" said the employee.